McKenzie began working with various orphanages and schools in Ghana when she was 16 years old. During her senior year of high school she opened the Volta Children's foundation and has since been managing it. McKenzie is a Social work and nonprofit management student at James Madison University in Harrisonburg, VA where she lives with her dog Winston. McKenzie spearheads managing our sponsorship programs, volunteers, fundraisers and oversees all of the activity within the charity. 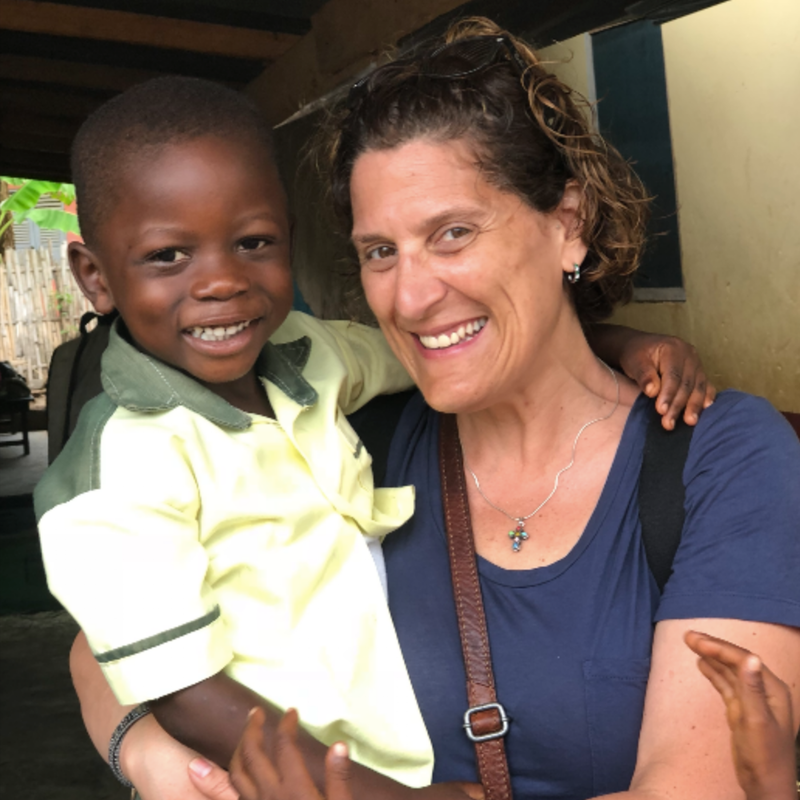 She takes a trip to Ghana at least once a year to see the kids, start income generating projects and oversee any other projects the homes and villages are in need of as well as to check progress on older projects. Mama Mawusi is our in country director for the Missahoe sponsorship program. Mawusi is the founder of Missahoe orphanage and school and oversees everything that happens both in the home and within the school. She has opened her heart to hundreds of children who have come through the doors of her orphanage and is compassionate enough to offer free education to the children in the surrounding villages who's families cannot afford to send them to school. When she is not busy with the orphanage or the school, Mawusi runs a catering business and loves to garden. Lori Solo is a hard working physical therapist at Boston Children's hospital. She has two children, one being our founder McKenzie Solo. She lives at home with her husband and two dogs names Gucci and Prada. Lori has always been passionate about the well-being of children and was thrilled to become involved with our foundation from it's inception. Lori offers a unique perspective on both our children's education as well as she acts as our 'go to' when a child needs medical attention. Kingsley and Dorris Addae are the founders of the food for christ initiative in Tsito. They have two children of their own as well as they have adopted an orphan from Tsito. Growing up an orphan herself, Dorris has a very compassionate outlook to the children they serve and she works hard to help the children realize their self worth. The pair work hard to support as many children as possible and to reach as many communities as possible.